Mrs. Soper informs Miss Berry that her husband passed away in June. She tells Miss Berry that Mr. Soper had great interest in her work, but she is currently not in a financial position to continue his donations. 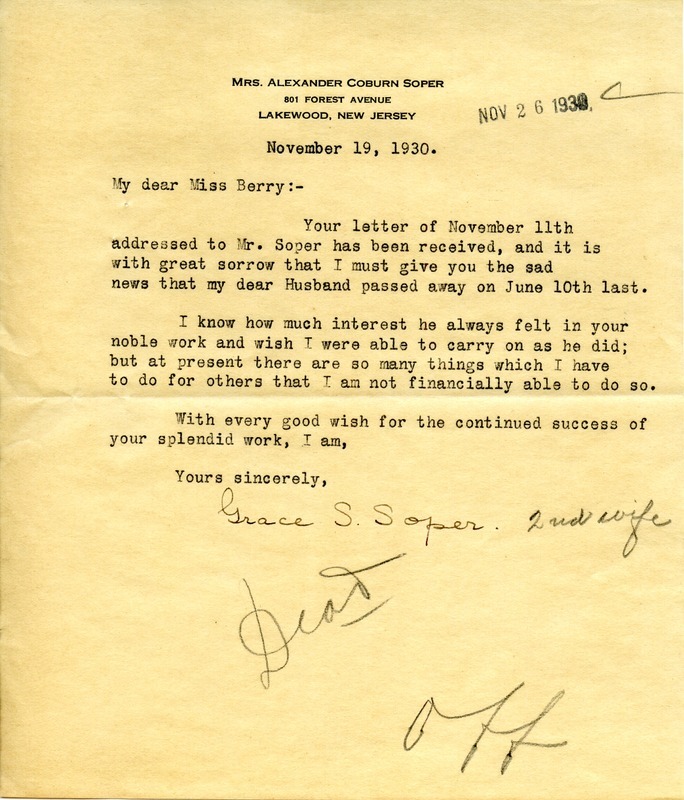 Grace S. Soper, “Letter to Miss Berry from Grace S. Soper.” Martha Berry Digital Archive. Eds. Schlitz, Stephanie A., Jordan Brannen, Allison Moore, Meg Ratliff, et al. Mount Berry: Berry College, 2014. accessed April 25, 2019, https://mbda.berry.edu/items/show/14021.